One of the largest contemporary artists in Japan. 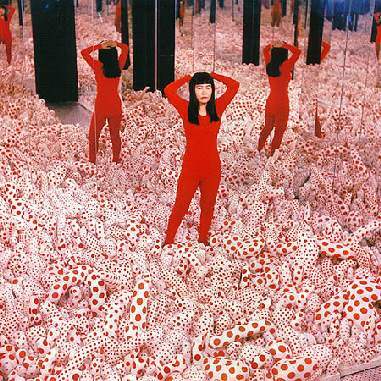 Kusama is also enigmatic – critics have variously ascribed her work to minimalism, feminism, obsessivism, surrealism, art brut, pop, and abstract expressionism. Because of fragile mental health, she voluntarily lives at a Tokyo psychiatric hospital, in a small room, for over 20 years. You are currently browsing the archives for the obsessivism category.